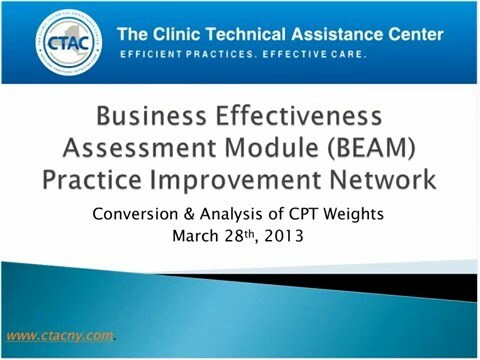 “Module 5: Conversion + Analysis of CPT Weights” discusses the conversion and analysis of CPT Weights. Different services have different assigned Medicaid service CPT weights, which affects how clinics think of and design their service mix to maximize both their clinical effectiveness and reimbursement revenue. It is important for clinics to understand 1) how to convert their existing unit of service system to a CPT weighted system and 2) analyze their average CPT weight for each unit of service provided in order to measure the CPT cost incurred when providing clinical services. With this understanding, clinic leadership can measure productivity by aligning inputs (costs) and outputs (revenue) with the value awarded to each service provided.